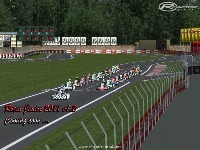 There are currently no setups for Rotax Junior 2011. Add a Setup. 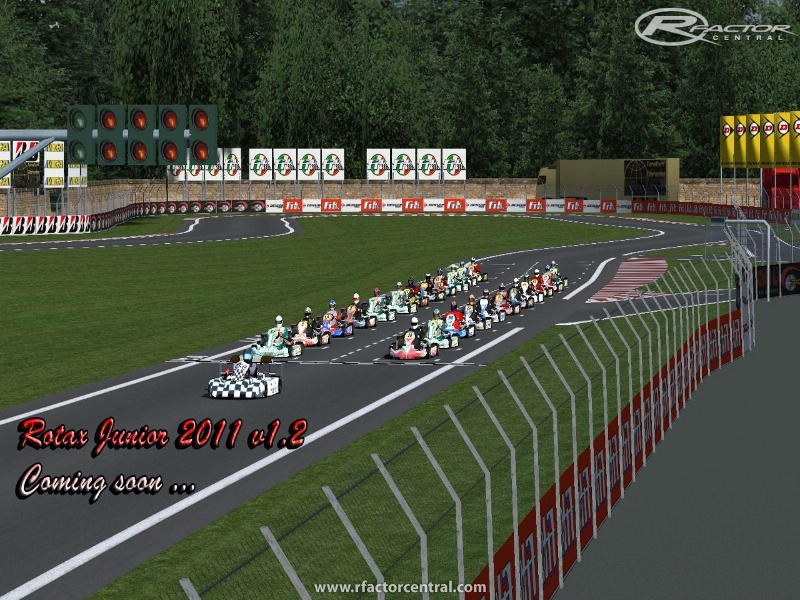 There are currently no car skins available for Rotax Junior 2011. If you are a painter you can share skins for this mod via the Car Skins area. Visit the Spray Booth for painting tips & tricks. I am looking to update the models fix the sounds and also try to fix the physic please bear with me people as I try to your feed back is much appreciated. So far we have permission to do the Rotsax max Challenge we will then seek Junior permission and then once setup proper and done right we will run a leage i know rfactor is old but this allows anyone to join as RF2 is very demanding on specs now days. hy everyone! I install the mod of Rotax Junior 2011 and World Karting Series and when I want to play this, I should have a vehicle... and I select this.. and its the same thing. What should I do? None of the kart mods I have arent even close to driving a a real kart! I totally agree. I can't get the sound working on this mod! Doesone know anyone know why? After installing "Rotax Junior 2011" on one computer, I got errors using "World Karting" in a LAN network race with other computers which didn't have "Rotax Junior 2011". After installing "Rotax Junior 2011" on the other computers I got no errors with "World Karting" but the drivers complained abouth the physics being changed. After removing "Rotax Junior 2011" from all the computers the problems disappeared. One thing from a kart which is a bit hard to duplicate in a simulator most people use is the breaking. When breaking full with a real kart it is very hard to hold the kart in a straight line. When full breaking and steering just a little bit a real kart will spin. But, with a real kart you really have to push the breaking pedal to spin the kart. If you have just a bit experience in karting it is easy to feel how much you can push the breaking pedal without to spin the kart. The problem with most pedals people use at home for race games or simulators is that you can't feel this. The pressure from a real breaking pedal feels completely different from the pressure of a "gaming breaking pedal". Therefore it is very difficult not to spin with a kart in the rFactor World Karting mod and the rFactor BR karts mod when using the default setup. One way to make the breaking a bit easier is to reduce the breaking pressure to 40% or 45%. When full breaking the kart still will spin, but it is not so difficult not to spin by not breaking full. But in my opinion the best solution for a simulator is to use a special breaking pedal with oil pressure, which duplicates the feeling of a real breaking pedal. When breaking full in this Rotax Junior 2011 mod the kart won't spin, even with 100% breaking pressure. This makes this mod easier to drive, but for my taste not so realistic. I drive karts in real live and in rFactor. In real live I have to be careful with the breaking pedal, so in rFactor I also want the need to be careful with the breaking pedal. BradleyPhilpot, I'm not sure what you mean with "Why do the karts roll when you spin?" an "Karts do not roll when they slide. They just slide." Maybe you are saying the same as I wrote, but I don't agree with "This is the least realistic thing I have ever seen in a racing game. Has the person that created this mod ever driven a kart?". As I wrote, this is a difficult thing to duplicate in a simulator.